ATMF042 CORPUS DIAVOLIS ATMF "ATRA LUMEN"
The immanent shadow of the Dark One guiding the initiate bringer of the dark light to the path of knowledge, the essence of the earth and the realm of the flesh. 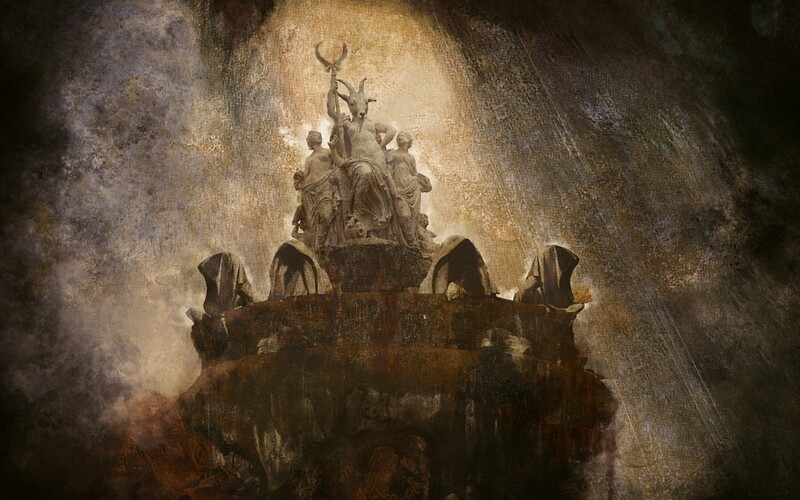 Musically conceiving a ritualistic feeling into the vibes of Black Metal, Corpus Diavolis never got tempted to lose themselves on their own musical maelstrom, forging a solid and threatening monumental opus. Conceptual points of references are Ceremonial Magic, Shamanism, Tarot, A. Crowley’s esoteric journey, A. Jodorowsky’s philosophical transcendence. Atra Lumen was recorded, mixed and mastered in April and May in the Priory Recording Studios, Birmingham UK by Greg Chandler (ESOTERIC, LYCHGATE). The French satanic acolytes recently shared the stage with bands like INQUISITION, BELPHEGOR & NIGHTBRINGER.